Midival Punditz’s Gaurav Raina curator for BPFT. MUMBAI: For the third time in a row, Midival Punditz’s Gaurav Raina will curate the music for Blender’s Pride Fashion Tour (BPFT). At a recent event launch in Mumbai, Radioandmusic.com spoke to the talented musician to understand his thoughts behind the “musically emotional psychedelic adventure” which he is currently working on. It is known that both fashion and music have evolved with time, with newer genres fusing better with the concept. But the inherent quality for both remains the same. Raina, during the conversation, emphasised that the purpose of his music is to put fashion to context, thereby bringing a dynamic element in the show. In this year’s BPFT, he takes the liberty to play with different combination of artistes, explore new talent, and will ensure to bring them out of the comfort zone. Bringing edge to this contemporary journey of style will be some of the most talented musicians from the country including Gaurav Malekar (BLOT! ), Kavya Trehan, Madboy/Mink, Midival Punditz, Monica Dogra, Raghu Dixit and more. Raina added two new names to this list – Abhishek Bhatia from Curtain Blue and another producer/singer Tarana from Komorebi, whom he will guide and mentor thereby polishing their talent. 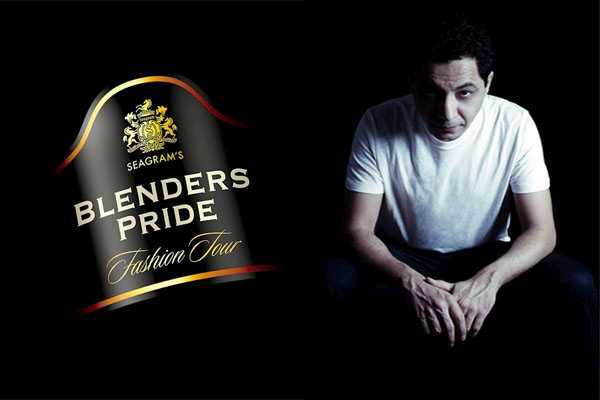 Blenders Pride Fashion Tour will feature some of the most illustrious and global designers from India. The designers will showcase their awe-inspiring creations in a spectacular manner, complemented by compositions from Raina and the above mentioned musicians. The five city fashion tour will begin from 22 October to 17 December 2016.